Tom Lynch Presser March 21 Tom Lynch speaks to the media ahead of the Crows R1 clash with GWS at Adelaide Oval on Sunday. 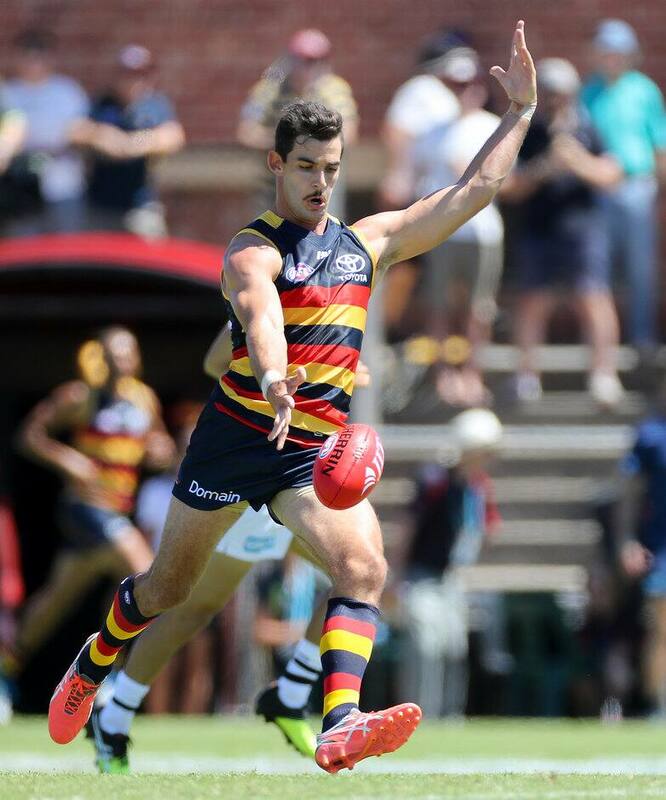 Key Crows Taylor Walker and Rory Sloane have ramped up their preparations to play in Round One. Sloane, who missed the JLT Community Series because of a fractured eye socket, trained with the team at Football Park on Tuesday morning. Walker completed a solid session on Monday, which was a scheduled day off for the players, as he recovers from hamstring tightness. “They’re ticking all the right boxes at the minute … they’ll go pretty close. At this stage, we’re very hopeful they’ll be right to go,” Lynch said on Tuesday. “They’ve obviously got to get through Thursday’s session, which is our last main session before the game. They’re two absolute pros of this Club. In more positive news, defender Jake Lever (hamstring), forwards Riley Knight (Achilles) and Jono Beech (calf), and midfielder Dean Gore (concussion) will all be available for selection at either level this weekend. Scott Thompson (shoulder) and Brad Crouch (hamstring) also trained on Tuesday as they edge closer to playing. Both are expected to return via Adelaide’s SANFL team before being considered for AFL selection. The Club has a SANFL trial match against Woodville-West Torrens from 11:25am at Football Park on Saturday, March 25, and another against Norwood at The Parade on Friday, March 31.